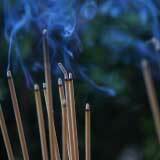 In Asia, Camphor is often used in spiritual and embalming ceremonies as a base for incense. It also has tremendous healing properties and is frequently used in a variety of medicinal substances. One of the chief characteristics that makes camphor unique is its sublimating property i.e. it passes from a solid to a gaseous state without becoming liquid. We manufacture synthetic camphor, which can be utilised in several different ways. Camphor’s anti-microbial property was known to the ancient Egyptians who first used its oil to embalm their mummies. 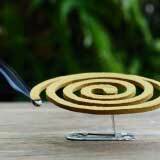 Certain communities believe that one must burn camphor to clean out negative energies. 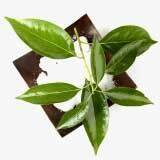 In India, we are one of the key manufacturers of camphor for pooja and other ceremonies and rituals. Does that soothing balm ease your body ache? A breath of that inhaler helps you breathe more easily? 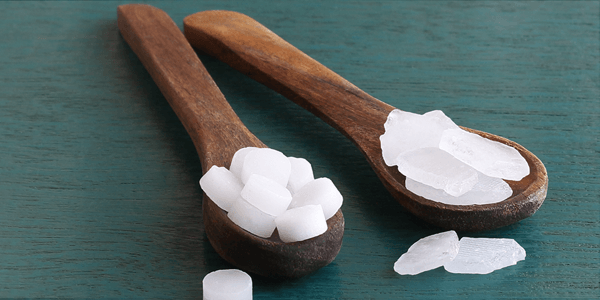 Camphor has several naturally occurring medicinal properties, but it’s best known for it’s anti-inflammatory characteristic. In ancient Asia, camphor was used to treat swellings, sprains and other kinds of inflammation. It is an active cough suppressant and decongestant. In Ayurveda, its original use was to treat fevers. Its chief property is that it stimulates the nerve endings to provide a heating effect if applied vigorously, or feels cool if applied gently. It is often used in inhalers and aerosols and can induce a mild analgesic effect. Has a tiny insect eaten a large hole into your clothes? Camphor is sometimes used as an alternative to mothballs and is kept in closets and among clothes to prevent bugs from eating into the fabric. Camphor’s anti-microbial property was known to the ancient Egyptians who first used its oil to embalm their mummies. 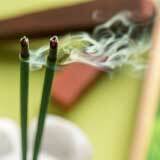 Certain religions believe that one must burn camphor to clean out negative energies. Camphor has several naturally occurring medicinal properties, but it’s best known for it’s anti-inflammatory characteristic. In ancient Asia, camphor was used to treat swellings, sprains and other kinds of inflammation. It is an active cough suppressant and decongestant. According to ancient Ayurvedic wisdom, it’s original use was to treat fevers. It’s chief property is that it stimulates the nerve endings to provide a heating effect if applied vigorously or feels cool if applied gently. It’s often used in inhalers and aerosols and can induce a mild analgesic effect. The World Health Organization’s (WHO) Good Manufacturing Practice (GMP) is a system for ensuring that products are consistently produced and controlled according to quality standards. It is designed to minimize the risks involved in any pharmaceutical production that cannot be eliminated through testing the final product. Skin Care: It acts as a disinfectant and prevents skin irritations and infections. Hair Care: It stimulates blood flow to the scalp and promotes hair growth. Antioxidant: It is rich in antioxidants which have myriad health benefits. Anti-fungal: It is a powerful anti-fungal and helps to prevent infections especially those that occur in the skin and nails. Stimulant: It stimulates the circulatory system and can help to relieve pain due to arthritis and gout. Anti-neuralgic: It causes blood vessels to constrict and thereby relieves pressure on cranial nerves. Anti-spasmodic: It gives instant relief from cramps and spasms.